I am highly qualified as a level 4 specialist in the exercise management of lower back pain. Having a personal trainer is one of the best ways to keep you motivated and on track. Ruth Sedgwick can help you achieve your goals in a fun and friendly way with an exercise programme tailored to suit your individual needs. 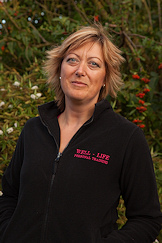 Personal Trainer Ruth Sedgwick provides Pilates classes in Somerset and provides a strict regime of exercise that tones and develops strength and flexibility in the whole body including the back and abdominal muscles. Treat yourself to a holistic massage by Ruth Sedgwick - a truly relaxing and therapeutic experience tailored to suit your specific needs. 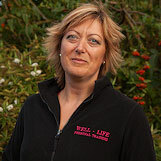 Ruth Sedgwick is a member of the Register of Exercise Professionals and as such is fully qualified to provide a complete tailor made personal training programme. Ruth Sedgwick is now able to provide this treatment that will promote and encourage a healthier immune system. Ruth Sedgwick now provides Thermo Auricular Therapy - Ear Candling which will be of benefit to many. A consultation to understand your physical requirements, this includes a fitness assessment. An individual programme, written and monitored to help you reach your fitness goals. Whether you want to lose weight, tone up or rehabilitation WELL-LIFE is the answer for you.